This statistic presents the consumer usage frequency of Apple Pay in the United States as of June 2017. 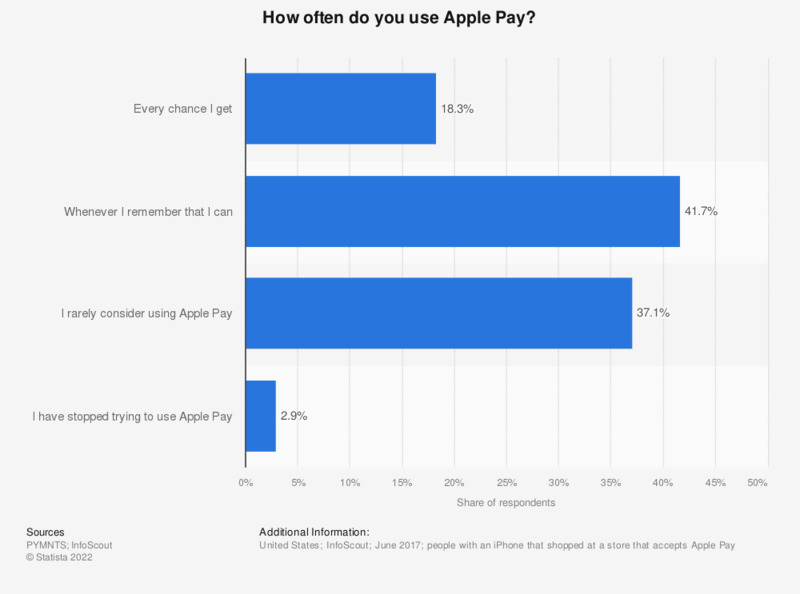 Overall, 18.3 percent of respondents stated that they used Apple Pay at every chance they got. A total of 41.7 percent of respondents stated that they used it whenever they remembered that they could. Assuming availability on any device. Question: Frequency: How often do you use Apple Pay? Source does not provide sample size, age group, or survey type.